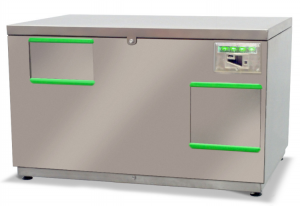 The grease trap THOR is the latest development within small compact grease traps. 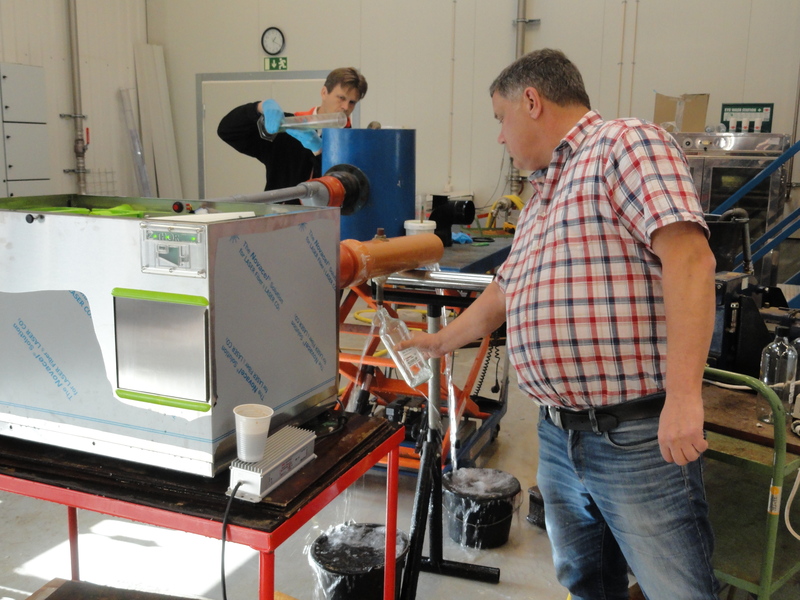 THOR has advanced smart electronics for energy efficiency and a unique design providing a clean work environment. Years of development has gone into the construction and design of the main tank which pumps the bottom sediment back up to the filter to prevent it from causing foul odours and dangerous hydrogen sulphide. Sensors know when there is grease in the water and only operates when fats, oils and grease (FOG) is present in the effluent water. The main tank is uniquely designed to leave no sediment sitting at the bottom of the tank causing foul odours. Bottom sediment is constantly pumped back to the solids filter. THOR has a flush design and no parts sitting on the outside which makes it easy to clean and look at. 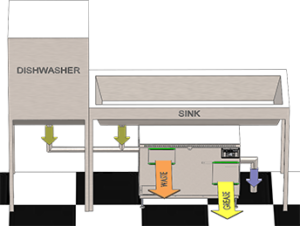 Alarms will tell you when it is time to empty the solids and FOG containers, which can be washed in your dishwasher. 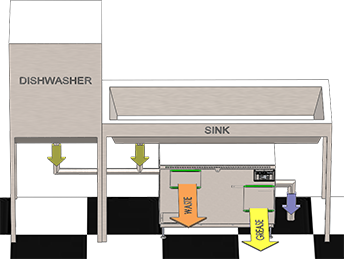 Automatic separation of fats, oils and grease (FOG) and solids from the waste water. 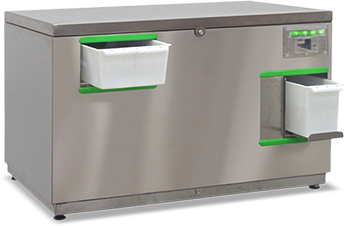 THOR is the easiest to maintain grease trap for indoor use where space is scarce. 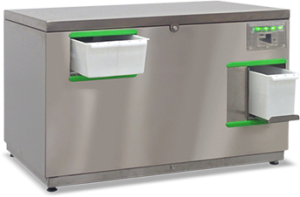 Any commercial kitchen and dish washing facilities are required to use some sort of grease trap device/grease interceptor to prevent grease oils and fats from reaching the public sewage. 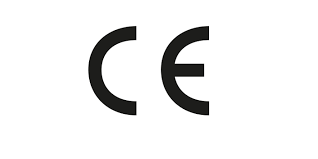 Examples of such businesses can be Hotels, Theatres, Restaurants, Schools and Colleges, Cafes, Pubs and Inns, Conference Centres, Take Aways, Food Manufacturers, Bakeries, Golf Courses, Canteens at factories and Offices. Check with the water authorities with your local municipality for rules and regulations. 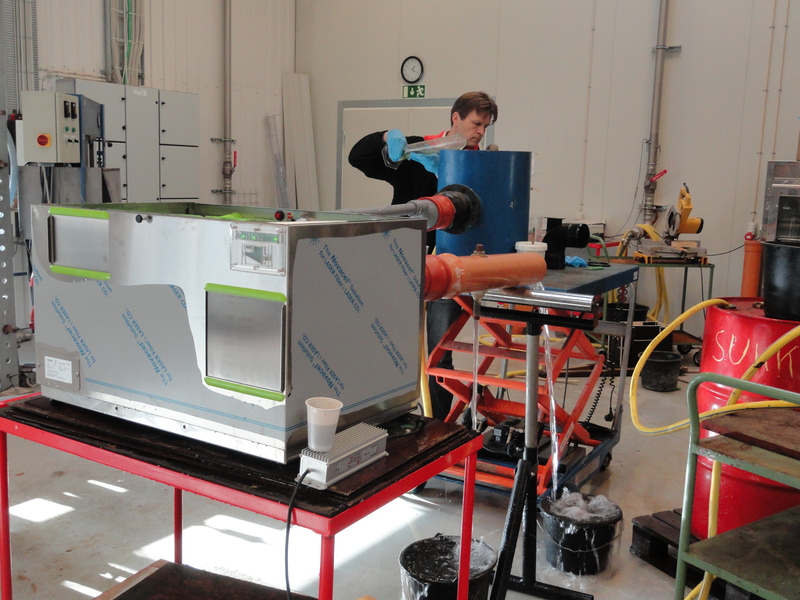 Fulfils the EN 1825 requirements of grease removal from water tested at Danish Technological Institute [Download Test Report ].